There is a proverb, Win as if you were use to it lose as you enjoyed for change; Thirty two teams went to the World Cup; thirty one will go home wondering what if.” France by winning the semi against Belgium played slow pace with energy intact and Belgium with attacking from the moment they entered gave two team exceedingly magnificent performance with results in favour of one with stamina technique and energy to its goal. With Paris maddening crowd is matter of joy for all French people across world to prove their talent in excellence. 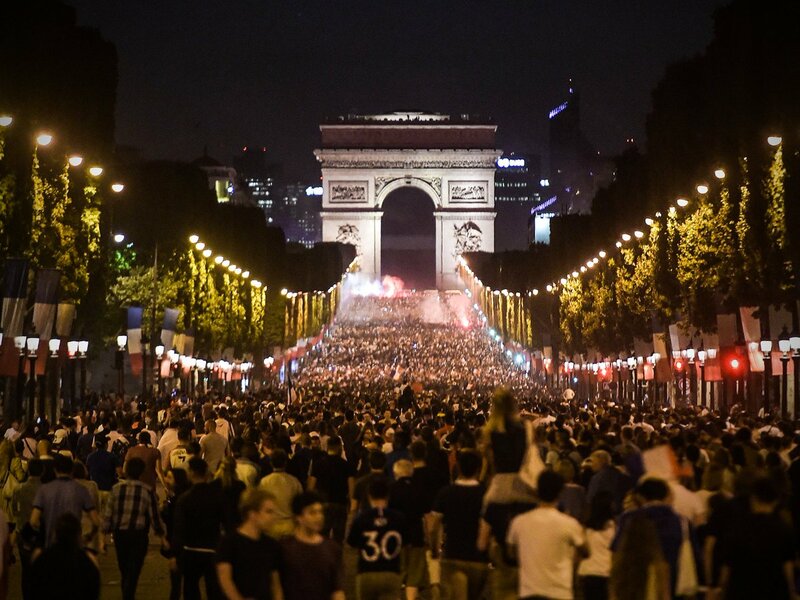 The win sent tens of thousands of French fans pouring onto the Champs-Elysees avenue in Paris in scenes of joy last seen when France won the World Cup two decades ago. France coach Didier Deschamps said he was delighted to have the chance to bury the pain of the Euro 2016 final, which his side lost on home soil to Portugal. “Finals have to be won because we have still not got over the one we lost two years ago,” he said. FIFA World Cup, Samuel Umtiti’s 51st-minute header sent France into the final with 1-0 win over Belgium in an absorbing first semi-final last night. It was a fascinating first half and all that was missing was a goal but one came soon after the break. Having gained the lead, France went defensive to nullify the threat from Belgium’s Eden Hazard and Kevin de Bruyne, closing out the game for a win. The French would now look to lift the trophy for the second time following their triumph on home soil in 1998 when they face the winner of today’s semi final between England and Croatia. Today’s semi-final will be played at the Luzhniki Stadium in Moscow at 11.30 p.m. Final will be played on Sunday in Moscow.